So far all my blog posts about LXD have been assuming an Ubuntu host with LXD installed from packages, as a snap or from source. But LXD is perfectly happy to run on any Linux distribution which has the LXC library available (version 2.0.0 or higher), a recent kernel (3.13 or higher) and some standard system utilities available (rsync, dnsmasq, netcat, various filesystem tools, …). We have also had several reports of LXD being used on Centos and Fedora, where users built it from source using the distribution’s liblxc (or in the case of Centos, from an external repository). One distribution we’ve seen a lot of requests for is Debian. A native Debian package has been in the works for a while now and the list of missing dependencies has been shrinking quite a lot lately. But there is an easy alternative that will get you a working LXD on Debian today! Use the same LXD snap package as I mentioned in a previous post, but on Debian! What IPv4 subnet should be used (CIDR notation, “auto” or “none”) [default=auto]? What IPv6 subnet should be used (CIDR notation, “auto” or “none”) [default=auto]? The availability of snapd on other Linux distributions makes it a great way to get the latest LXD running on your distribution of choice. If you want non-root users to have access to the LXD daemon. Simply make sure that a “lxd” group exists on your system and add whoever you want to manage LXD into that group, then restart the LXD daemon. Great article! But I never could understand correctly what is LXD. 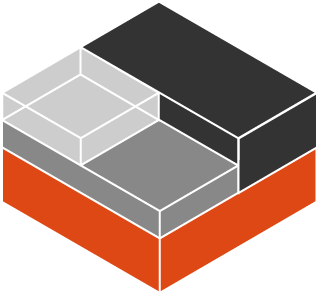 LXD is a system to create and manage LXC containers? I saw a frontend tool (‘lxc’ command) and seems there is a daemon (‘lxd’ package), so I think this frontend tool communicates with the daemon to create, destroy, etc. the LXC containers on the host. That is correct? Yep, lxd is the daemon, lxc is the default client for it. You can also use various other clients to interact with LXD if you’d like since it offers a pretty simple REST API. LXD makes it much easier to setup LXC containers than the old set of tools and it makes it possible to do all of that over the network. Good post! Do you know of any work being done to also package Juju for snapd? A Juju snap would be the perfect companion for the LXD. Nicholas Skaggs on the Juju team has been working on one. I’m not sure of the current status of it though. Since there is no lxd group (like under Ubuntu) is there a way to run lxd from a classic user (non-root) ? The LXD snap will use the “lxd” group if it’s found. Should have the daemon respawned using the “lxd” group. Your user will then be able to interact with it, though possibly only after a “newgrp lxd” call to make sure it’s using its newly added group. Did you try to install LXD on Debian Jessie? snapd doesn’t exist in the Jessie repository so you can’t just use that, you’ll need to build it by hand. Building LXD by hand on Jessie will also require you to update to a newer version of LXC and LXCFS, those seem to be available in jessie-backports. You’ll then need to install the Go compiler, also from backports and then build LXD using those. The instructions at https://github.com/lxc/lxd should work fine once you’ve got all the dependencies sorted out. Note that back in Jessie, Debian would disable the user namespace by default, so you’ll need to find and flip the sysctl for that. Hi Stéphane, thanks for the post, it really helped. However, you mention “The stock Debian kernel without apparmor support”. How could I achieve that? I tried disabling the apparmor profiles, as suggested by Zygmunt, but I have none. If I try to get rid of the apparmor all together, the snapd will go with it. So I don’t know what to do. The default Debian kernel has it disabled. If you have it enabled, then edit /etc/default/grub to remove the apparmor=1 and security=apparmor kernel options. Thank you for the very nice post. It already helped me a lot. However, I’m still stuck with some problems on Debian Testing and lxd. Unfortunately, mounting of the /tmp/.X11-unix/ directory failed and I have no idea why? My intention is setting up a container with 3d acceleration support. It’s not possible, because snap is like a container itself. That means, every snap has it’s own rootfs (AFAIK). So in the rootfs of lxd, your device-path/mountpoint/dir/.. simply doesn’t exist. I seem to have found the solution. With the `core` package, now it works fine. I wonder what the security implications of running without apparmor are. Looks like at the very least it breaks nested snapd (and therefore nested lxd?). But would it also make it easier, maybe even trivial, for containers to be broken out of? I’m trying to make LXD work on Debian 8 using snapd. LXD socket not found; is LXD installed and running? I’m stuck, do you have any piece of advice ? Yea, I ran into similar issues. It looked to work for the first couple weeks, but after a while (after an update?) the lxd service kept going up and down on (re)boot. This, combined with other issues with snapd (not classic confinement; not possible to mount paths as disks if outside of home dir, not possible to push/pull files from non-home paths, dnsmasq would randomly stop responding to requests…) suggests that it really isn’t ready for any kind of serious use. I ended up switching to packages from the Ubuntu stable PPA rebuilt for Debian a few days ago. It’s been stable so far, and the lxc client also responds faster than it does under snapd. Following the “CreatePackageFromPPA” guide on the Debian wiki (https://wiki.debian.org/CreatePackageFromPPA) largely works – you just need to install the repo `lxc` first and then use `dpkg -i –force-overwrite` when installing the PPA `lxd-client` (otherwise it fails on conflicting bash completions vs the Debian lxc package). At some point I’ll probably do a write-up of the entire process. The downside of this approach is, of course, you’ll have to manually rebuild the packages every update, and I’m still not sure if there’s anything Ubuntu-specific in the PPA that can break things. The alternative is to wait for a properly native LXD package to make its way into the Debian archives, or use Ubuntu. Personally, I’ve given up on trying to beat snapd into working. Thank you for your reply ! Really appreciated. I am trying to assign a static IP address to a container, but all the tutorials I have seen in the web assume that the configuration is stored in /etc/lxc/ or other absolute directories. I haven’t been able to find it in the snap directory though. Where is the LXC configuration stored in case of snaps, or how should I configure LXD/LXC to assign a static IPv4 address to a container? It would be fine to get the point of view of Stéphane today : CreatePackageFromPPA or snap ?